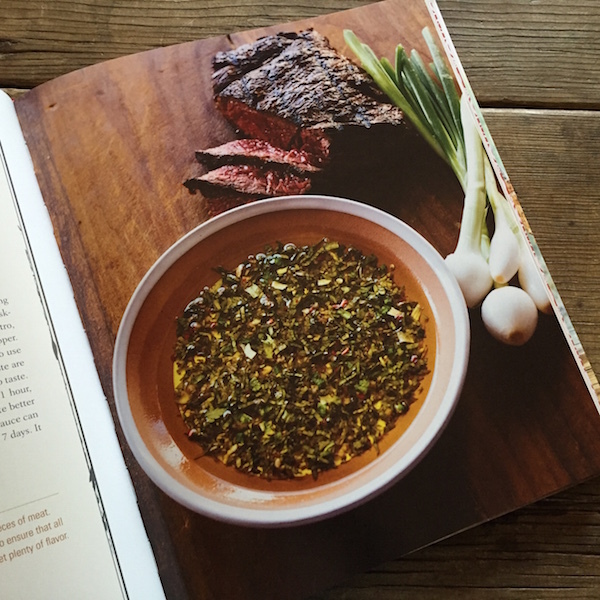 Not just a cookbook, a thorough grounding in the Brazilian grilling ethos. If you’ve ever eaten at a Brazilian steakhouse, you’ll know that they take their meat very seriously. So seriously, in fact, that there is a way of life connected to cattle ranching, grilling, and barbecue. 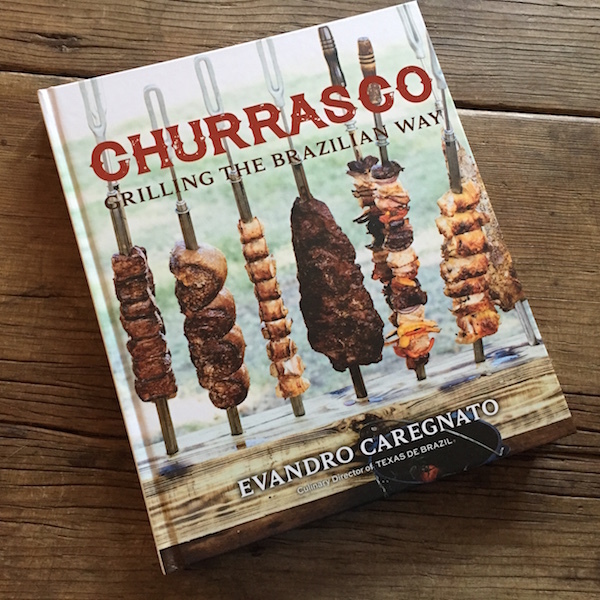 I thought this book Churrasco: Grilling the Brazilian Way would be a perfect fit with paleo month here at RR. 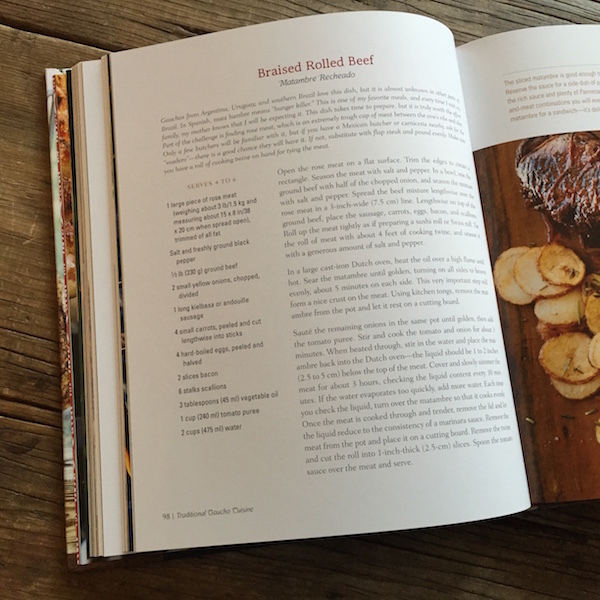 If you or someone you know is SERIOUS about their barbecue, this would be a perfect gift. Written by the Culinary Director of the Texas de Brazil restaurant chain, who was raised in Brazil. 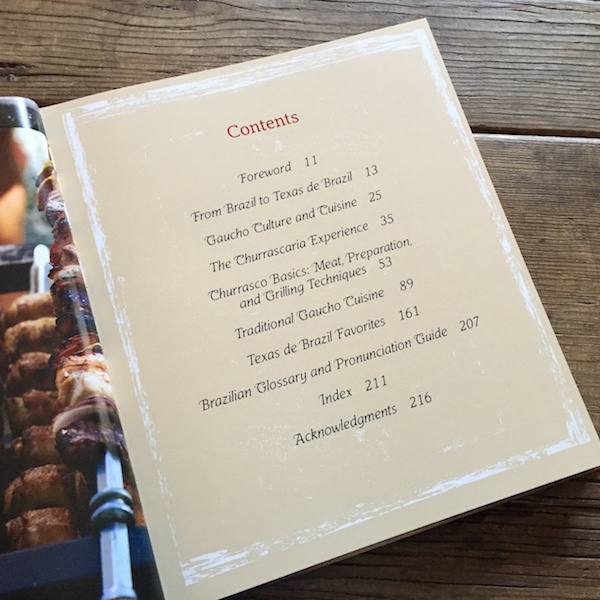 The book is organized into the following chapters: From Brazil to Texas de Brazil, Gaucho Culture and Cuisine, The Churrascaria Experience, Churrasco Basics: Meat, Preparation, and Grilling Techniques, Traditional Gaucho Cuisine, Texas de Brazil Favorites, and Brazilian Glossary and Pronunciation Guide. The book’s interior design is beautiful and user-friendly. Every recipe features a full-color photograph by Denny Culbert, and lifestyle photographs from Texas de Brazil bring the gaucho lifestyle to the reader with flair. I love any book that takes me to another country. This one is like a free trip to Brazil. I love the author’s passion and the story of the founding of the restaurant. Hard-core BBQ guys and gals will love the instructions for building your own BBQ and rebar spit(! ), plus the chef-level discussion of meat cuts, knives, and tools. What an awesome cookbook! I do love cookbooks that give you a real look at the country.